We are feeling the change in the weather and definitely seeing signs of fall. We are all looking forward to the fun months that follow. 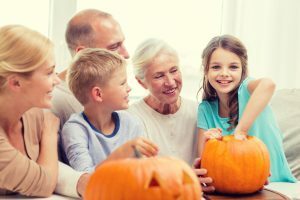 October is the first of these fun months with festivities that we know our residents will enjoy. Beginning with October Fest, accordion player Ed Gorzyski will be playing music and entertaining us with jokes. Following that, our residents will be graced with wonderful music by students who volunteer their weekends to sing and play piano. Fun field trips are planned every Wednesday, including shopping for Halloween costumes. Last but not least, a fun Halloween Celebration will take place for residents and staff. Expect trick-or-treaters parading around the community for their treats, handed out by our residents and staff. We are encouraging everyone to come dressed in costume so they can be entered into our Halloween costume contest.